Happy Tuesday, everyone!! 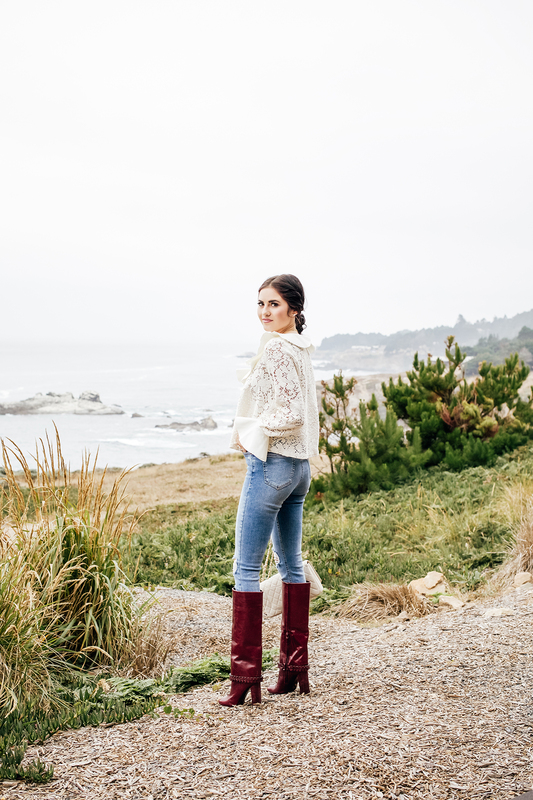 Last week Drew and I had the opportunity to escape for a couple of days to beautiful Timber Cove in Northern California and we had the best time being away and relaxing (even though we missed our babies like crazy!!!!). This look was one of my favorites from the trip! 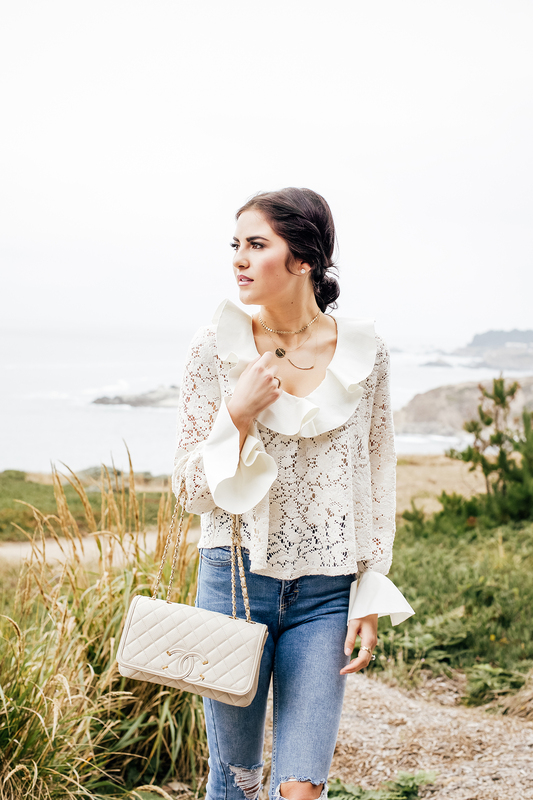 I’m kind of obsessed with this lace ruffle blouse and these Topshop jeans (both from Nordstrom). They are pieces that are perfect for transitioning from summer to fall and I can’t wait to wear them more later this season! That’s a gorgeous top! It’s so cute and elegant! That top is so pretty! The lace and the ruffles are beatiful! That is such a beautiful blouse! I love the ruffle/flare details. Love those boots! They’re so gorgeous! OMG these boots are amazing! Love the color. Love the material. Love everything about them. You look so gorgeous!! 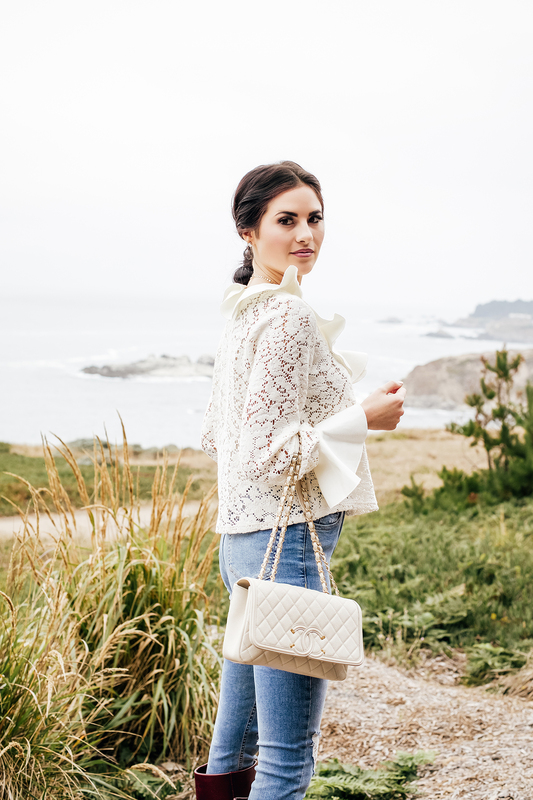 That lace top is so pretty and the outfit is perfect for those beautiful boots!! This scenery is so gorgeous! I love Northern California!! Love the look! Timber Cove looks absolutely beautiful. Your hair is also amazing! You’re looking absolutely amazing top to bottom! 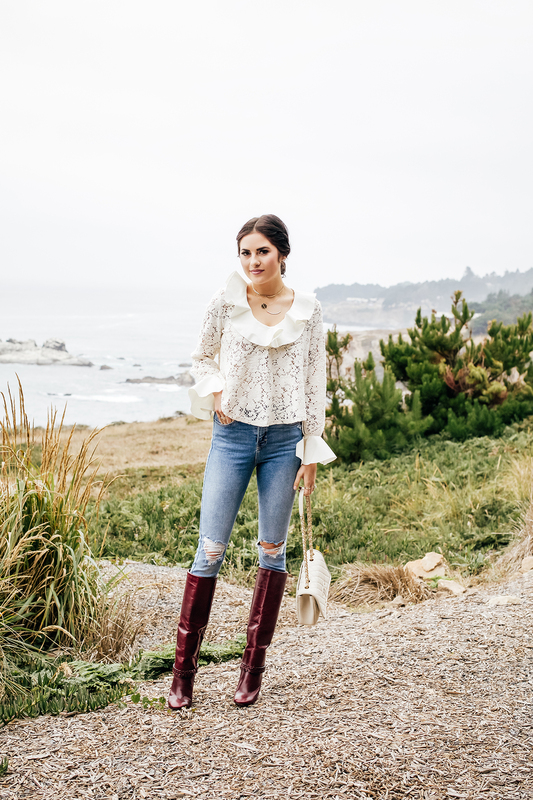 LOVE your boots and laced top! This outfit is amazing! I’m obsessed with that top! 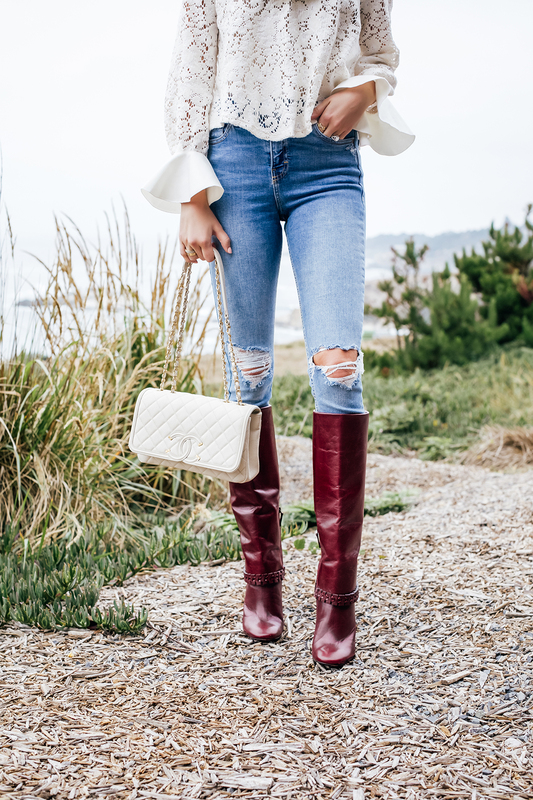 That boot, bag & lace top combo are to die for! ? I love those boots. Keep going with your blog. I live it ? Love everything about this outfit its perfect for fall.. Loving the purse! Love those boots! You look so good! That’s a cute blouse! Love the lace. A little late in commenting, but in my opinion, this is one of the most beautiful looks you’ve ever done. I love it all!